The America’s Cup is deemed to be the oldest trophy tournament at international levels when it comes to sailing. This competition will have six teams fighting it out at Great Sound region of Bermuda for a trophy that is deemed a hard and challenging victory. For those who have followed the 2015 tournament will know that teams have battled it out for the 34th series that had the last round in the chilling waters of Fukuoka in Japan in the month of November. The British team led by Sir Ben Ainslie took the trophy that was a monumental win for Britain. The highlight of the series is the catamarans that are used to sail. Swift vessels that have a majestic foiling design; these are fast vessels that make competition fierce and close. Indeed, the 34th edition saw many near calamities happen and several teams had to get their boats repaired or face penalties. This year is the ACC boat design being used that are hydro foiling catamarans that are made of carbon fiber. 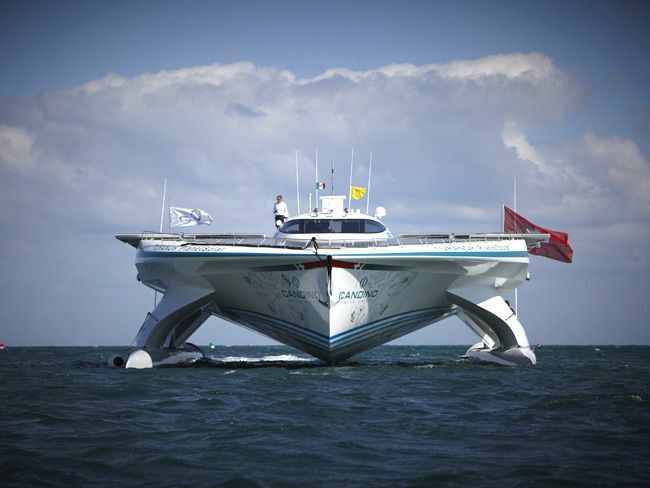 The appreciable difference is that these boats will be powered by human energy. Right now interim versions of the race boats are being built and designed for the teams. They would soon need to be tested and tried. Both boat designs, the AC45F and ACC require muscles on board to generate power. This comes from athletes who sustain energy and operate the sails. This year their energy will help build up hydraulic reserves. Hence, the primary systems that run a boat would be directly dependent on human energy. This is definitely a change from the previous system and makes the race a sustainable one. Indeed, introducing an era of change, of how power sources can be eco friendly when it comes to competitive sailing. This will take it to the next level of human fitness and eco friendly sailing.